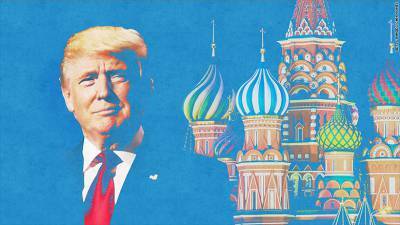 US President-elect Donald J Trump has been widely criticised by his liberal critics in the media and by Democratic Party opponents for wanting to normalise his country’s relations with Russia and to adopt a more balanced approach towards Moscow. The imposition of sanctions, combined with the stepping up military confrontation with Russia over Syria and Ukraine, have seriously endangered the common security of East and West; the reckless policy has also damaged the economic prosperity of the world, including the US and European Union’s economies which have all been suffering a downturn. The return of strident anti-Russian rhetoric and political grandstanding over recent years are reminiscent of the darkest days of the 1950s when McCarthyism and the Cold War dragged the world towards the brink of nuclear annihilation. While Trump has been derided mercilessly for expressing a willingness simply to talk to Putin and to cooperate on common challenges such as defeating ISIS and radical Islamist terrorism, the President-elect has also been attacked for naming the CEO of Exxon Mobil, Rex Tillerson, as his nominee for Secretary of State. Critics expressed alarm that Tillerson enjoyed too close ties with the Russian leadership and even had personal dealings with Putin. Trump apparently viewed these aspects of Tillerson’s career in a more positive light; the Exxon executive was a “deal maker” like Trump himself. Looking ahead, if Trump were to be successful in brokering a deal with Putin and embarking on a new era of détente, he would surely be doing the whole world a great favour. The economic fortunes of America, Europe and Russia would all benefit enormously from closer economic cooperation. The Russian economy has been ringed off limits and commercial links severed at the behest of short-sighted politicians. By adopting their anti-Russian stance, America and Europe have been inflicting wounds on themselves and weakening their own economies. Their people are losing out by refraining from trading and doing business with Russia which actually represents a vast market for US and European goods and offers immense potential for investment. Russia’s newly appointed minister of economic development, Maxim Oreshkin, assumed office at the end of November. He is only 34 years old. He is popular with industry for his approachability and is fluent in English, the FT reported, 30 November 2016. Ivan Tchakarov, chief Russia economist at Citibank, said Mr Oreshkin was “the best economist on the government side that I have communicated with during my years in Russia”. Among Mr Oreshkin’s strengths, he said, were his “unqualified knowledge about the Russian economy, recognised ability to analyse the strengths and weaknesses of Russia from a macroeconomic perspective and demonstrated ability to confer with foreign investors”. Small and medium businesses will be able to benefit from support from the Russian government as part of a new initiative aimed at boosting investment and developing networks in the country. The initiative is expected to attract additional investment and help to “form new technological networks” in the country. The benefits will primarily involve the purchase of premises, fiscal preferences, advantageous credits and exemption from scheduled inspections. “In Russia, Italian Eni, US ExxonMobil and Norwegian Statoil work with Rosneft, while France’s Total and China’s CNPC work with the largest private producer of gas, Novatek,” according to Georgy Vashchenko, head of Russian stock market operations at investment company Freedom Finance. “Russia has freight and logistical advantages to growth markets in North Africa, Sub-Saharan Africa and the Middle East and can easily grow its market share in these regions to replace a portion of the curtailed EU exports,” the report said. According to USDA data, Russia will collect a total of 72 million tons of wheat this year. Russia’s Agriculture Ministry predicts 73 million tons of wheat, taking into account the crop harvested in the Crimea region. A cheaper rouble has made it profitable for Russian food manufacturers to export their products to Asian countries. Consumers from across Asia are increasingly buying Russian food products thanks to a recent growth in exports. Brands of Russian chocolate, popular among tourists, are now being exported to Asian markets such as China. But manufacturers are now looking beyond China, and are increasingly seeking to obtain Halal certification to sell in Muslim countries. The Russian confectionary industry is also developing new products specifically for the Asian market to cater to local tastes. The organic food market is growing worldwide and Russia now seeks to seize the potential. Fish farming is not particularly successful in Russia. However, there are some notable exceptions. Thanks to local entrepreneurs, in a republic in Russia’s north the production of one of the country’s favourite fish, the trout, is developing at incredible speed. The Republic of Karelia produces three quarters of all the red fish in Russia, and the Karelian trout is known for its excellent quality. Fish farming is a growing industry. Today there are about 50 trout farms in the republic, employing more than 1,000 people. In 2013 the farms produced 23,000 tons of fish. Nikolai Fyodorenko, a modest entrepreneur from Karelia, recently scored a remarkable triumph at the SIAL 2016 Food Exhibition in Paris. His trout received three gold medals simultaneously and the event’s guests and participants were vocal in their appreciation for its quality and fine taste. In recent years, the Russian pharmaceutical market has become popular among investors. “Indeed, since 2010 investors have invested more than $2 billion in the Russian pharmaceutical industry and, perhaps this figure will double by the end of the next decade,” said Vasily Ignatiev, the CEO of the R-Pharm group of companies. Numbers of overseas students are rising. According to fresh data from a study conducted 2016 by the Russian Presidential Academy of National Economy and Public Administration (RANEPA), the number of foreign students in the country’s universities has tripled in the last decade: from 100,900 in the 2004-2005 academic year to 282,900 in the 2014-2015 academic year. Traditionally, the universities with the highest number of foreign students are Peoples’ Friendship University, St. Petersburg State University, St. Petersburg Polytechnic University, the Crimean Federal University and Moscow State University. The company claims that this is the only factory in Russia whose products meet premium EU standards for energy efficiency. At full capacity, the factory is expected to supply 10% of the products sold in Western Europe, 30% in the CIS market, and 60% of products on the Russian market. Deliveries to countries near and far are expected to start in 2017. Daimler, parent company of Mercedes-Benz, plans to sign an investment contract to construct an auto manufacturing plant in Moscow region which is expected to cost more than 300 million euros. 2016 witnessed a growth in demand for foreign cars assembled in Russia from CIS countries and the Middle East. Nissan has plans to deliver its model Datsun, which is assembled in Russia, to the Middle East, and Hyundai plans to export cars produced in its St Petersburg plant to Georgia and Tunisia. Meanwhile, Renault has indicated its plans to export its Dacia Logan and Sandero Stepway models, both assembled in Moscow, to Vietnam. Experts say Russia has the capacity to produce 3 million cars, which would be in large part for export. Domestic demand stands at around 1.5 million. Opportunities exist in the development of the vast country’s remoter regions and in this regard the Far East offers significant potential. Industrial activity in the Russian Far East is currently growing. The region saw industrial growth of over 5 percent in 2015, whereas in the rest of the country the figure was just 0.3 percent. In 2015, more than 300 investment projects were launched in the region, which attracted over 1 trillion roubles ($15.35 billion) in investment. Russia intends to set up an international science and education centre in Vladivostok and is seeking the help of Asian expertise. Favourable conditions have been introduced to attract foreign investors to the region, including the launch of the free port regime for Vladivostok and the Territories of Accelerated Development (TAD), which offer a simplified tax regime and favourable credit conditions for investors. In the near future, the Russian government plans to ease visa requirements for foreign nationals and is to start issuing electronic visas, President Putin has stated. The government has offered land free in the Far East to Russian citizens prepared to develop it. The unused land is given away to applicants as part of an initiative by the Ministry of the Development of the Far East. The region has the potential to become a supplier of organic food produce for customers in the Asia-Pacific. Under the law passed in the summer of 2015, Russians are able to obtain one hectare (2.47 acres) of land as personal property on condition that they develop it within five years. From February 2017 the land offer will be accessible to all Russian residents. The Russian technology sector can now compete with traditional tech offshore hubs like India and China. It just needs to attract more investment. The fall in the rouble has made Russian software engineers and IT specialists much cheaper for foreign customers to hire and do business with. According to TAdviser, an analytics company, software and IT services exports from Russia have been steadily growing since 2010 and hit $7 billion in 2015. There is great potential in the regions of the country where costs are lower than the capital. Voronezh, a former industrial town has started to turn into a thriving provincial tech hub, as startups and online contract work have become a source of good jobs and income. Six hours by road from Moscow, Voronezh is more cost effective than setting up in the capital. Office rent and salaries are significantly lower.